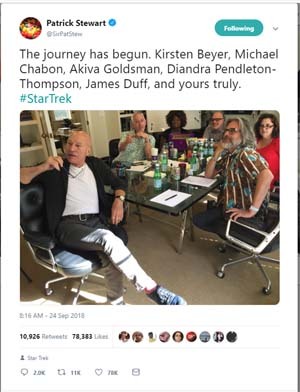 The initial announcement of Star Trek: Discovery looked very promising. Unfortunately, the news has not been as good since then. 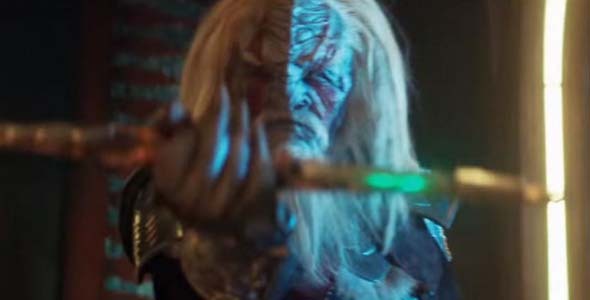 First of all, the first teaser showed some lackluster CGI effects, but I was willing to dismiss that as being evident of the show's early prouction. But then news kept getting worse. Bryan Fuller stepped down as the showrunner, CBS repeatedly stated that the show won't be an anthology (even though an anthology would be a great idea), and the show was delayed from January to March. Now it's been delayed again - this time indefinitely. The delays appear to be related with CBS's in ability to get its streaming service off the ground, delays in casting, and scheduling conflicts with those who have been cast. 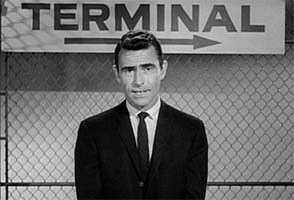 But production has started, and the first teaser trailer has come out. A behind the scenes teaser gives a look at uniforms, sets, possible ship redesigns, and the captain's chair. The first thing that stood out to me is the tease of the new uniforms, which resemble a combination of the Star Trek: Enterprise uniforms, and the cadet uniforms from the rebooted Star Trek movies. But there's a huge flaw in this uniform: the breast badge is the delta shield. Since this is a prequel to the original series, this uniform is unlikely to belong to an Enterprise crew member, even though that delta shield was unique to the Enterprise in the original series. 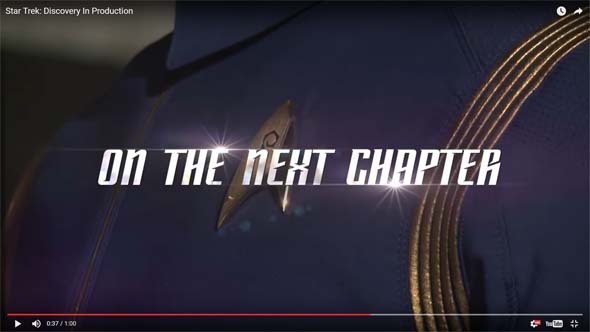 The Discovery teaser shows a delta shield badge on a pre-TOS uniform - which is a Star Trek faux pax. In the Original Series, each ship, starbase, or installation had its own unique mission badges, similar to contemporary NASA missions. 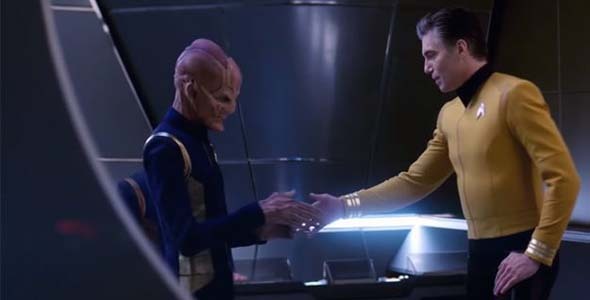 This was a detail that even Star Trek: Enterprise got right! But the Abrams reboot, and now the new Discovery series have broken with this detail, making the uniforms anachronistic within established series' canon. Each ship, starbase, or installation in The Original Series had its own unique mission patch, inspired by NASA missions. By the time of The Next Generation, Starfleet had adopted a single insignia for the use of its communicator badges, which was based on the Enterprise 1701's mission insignia. Of course, this badge was a piece of technology, rather than a simple patch on a shirt, so there could have been technical limitations that required the adoption of a single insignia. Since seeing the trailer and writing this post, it has come to my attention that I may have over-reacted to the insignia. 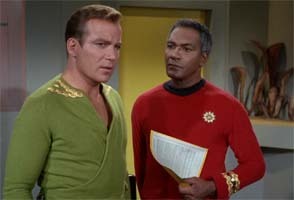 The presence of this insignia may be a reference to the possibility that the lead character of the show is going to be the first officer from the original Star Trek pilot. This character was played by Majel Barrett (who later went on to protray Nurse Chapel), and this character was un-named, and was only called "Number One"). 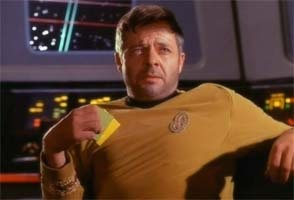 So this character would have previously served onboard the U.S.S. 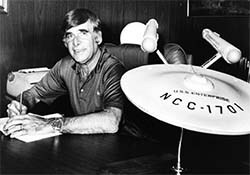 Enterprise with Captain Pike. Perhaps this insignia is on Captain Pike's uniform? Happy 24th Birthday to Star Trek: The Next Generation - boldly going to HD next year. Today celebrates the 24th anniversary of the premier of Star Trek: The Next Generation.